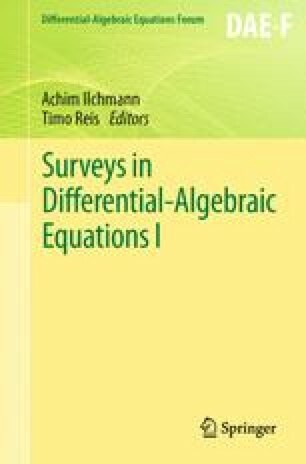 This paper presents a survey of recent results on the robust stability analysis and the distance to instability for linear time-invariant and time-varying differential-algebraic equations (DAEs). Different stability concepts such as exponential and asymptotic stability are studied and their robustness is analyzed under general as well as restricted sets of real or complex perturbations. Formulas for the distances are presented whenever these are available and the continuity of the distances in terms of the data is discussed. Some open problems and challenges are indicated. V.H. Linh supported by Vietnam National Foundation for Science and Technology Development (NAFOSTED) under grant number 101.01-2011.14. V. Mehrmann supported by Deutsche Forschungsgemeinschaft, through project A02 within Collaborative Research Center 910 Control of self-organizing nonlinear systems. We thank the anonymous referees for their useful suggestions that led to improvements of the paper.